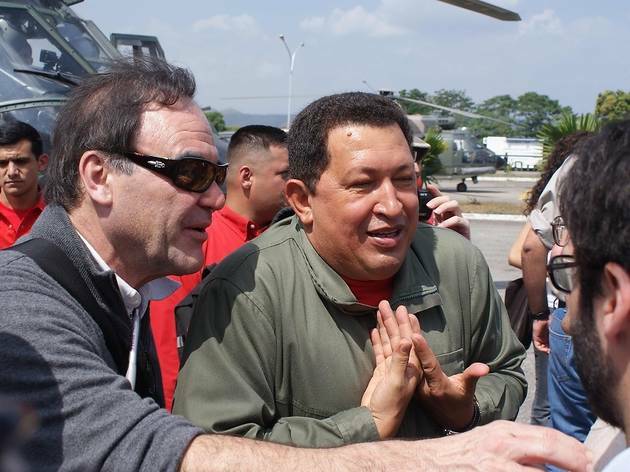 Oliver Stone likes to get stuck in where others don’t dare and does so again with this documentary, the aim of which is to counter the US media’s portrayal of Venezuela’s Hugo Chávez (pictured) and fellow ‘Bolivarians’, such as Bolivia’s Evo Morales and Ecuador’s Rafael Correa, as mad, bad and dangerous. After a survey of some of the wilder TV reports and a recap of Chávez’s rise, Stone hotfoots it around South America, interviewing seven leaders on the fly, with exposed cameras, wires and lights lending a guerilla feel. Critics claim the film is unbalanced, and, yes, Stone’s film is a president’s-eye view of their countries – but when that same view is so routinely distorted or ignored elsewhere, there’s a need for this film, and anyone who doesn’t clock where Stone’s sympathies lie is not concentrating (the triumphant music is a giveaway). Watch, enjoy and start paying attention to the region. This is a spirited and necessary primer, not the last word on its subject. Mike, I'm thankful you are no reviewer! I believe that if you were, FAIR would be breathing down your neck right now. There's no mention of hatred against America. Where did you get that from? Unless you are simply being over defensive of the country. People only know what they hear, and the majority of the time, that comes from the media and the people who own the media are easily influenced by the dollar, something that we are all aware of. Yes, I agree with you - Stone doesn't ask probing questions, but at the same time he gives the leaders a chance to be viewed in a different light - an opportunity which has never been afforded to them before, hence it feeling so alien. There is no question about the election of these leaders other than in Cuba - all have been democratically elected and have been working hard to free themselves of the strangle hold that is the IMF... Have you read Confessions of an Economic Hitman? If not, I suggest you do and then maybe you'll understand why America are not quite so keen on these particular leaders being in place. Eye-opening and provocative to be sure. A primer? Are you kidding me? It is shocking how little this critic knows about the region. 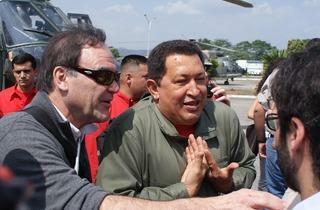 Stone defends dictators that have brought nothing but oppression and poverty to millions. What about the political prisoners languishing in Cuban jails? What does Mr. Stone think of the human rights violations inflicted by the very people he defends? If your hatred of the US leads you to believe these dictators are truly good and benevolent, then I feel very sorry for you. It means your hatred has blinded you. I actually watched this film in the US recently where it was receiving an enormous amount of flack from the media. After watching it, the criticisms ironically validated a major theme of the documentary: the American media's often biased coverage of Latin American politics. And oh yes... their obsession with everyone else's oil. This film gives the leftist Latin American leaders an opportunity to tell the story for themselves and as such I recommend it as imperative viewing for any Brit before we find ourselves bungling ourselves along with the Yanks and calling these seemingly in-touch leaders "enemies of the state." Only quarm with it is the production quality... Oliver Stone could have surely shot something with a little more schazzam and inserted a lower third so that people could actually read the subtitles, couldn't he?